On October 20, 2017, Darron Collins, President of the College of the Atlantic, and I walked down to the college dock. It was 68ºF, sunny and cloudless – a perfect fall day – so we sat out on the floats and watched the boat traffic in the bay. Jenn: It’s gorgeous. It feels more like September than October. Darron: I’ve been looking forward to this discussion all day because I knew it would mean I could get outside and go for a walk. Jenn: That’s the good thing about hanging out with me! … So you graduated from here, didn’t you? Jenn: Wow. How is it coming back as a grownup? Darron: It’s great coming back. It’s progressed so much since I was here. I got here in 1988, it was five years after the fire burned the main building to the ground, so we were really just beginning to claw our way back into some kind of stability. … So how do we do this? Jenn: Well, I make it up as I go along. I don’t really have a formula. … You said you want to talk about cruise ships? Darron: I do, but only because this beach and this cove is so crucial not just to my own personal experience but to so many COA students. One thing that’s definitely on my mind is how this stretch of land would be impacted if there were two 3000-person cruise ships, two 18-story floating buildings sitting right there [Ed.note: at the old ferry terminal.] … I think it becomes monstrous and difficult for me to imagine attracting students. … I’m not turning my nose up at cruise ship tourism. I think that that’s part of the economic mix of this town. I get that, … but I think we’re coming up to the point where the volume of tourists, both terrestrial and those that arrive from cruise ships are starting to have a negative impact on the overall user experience. Certainly the experience of those of us who live here year-round, students or otherwise. I’m going to interrupt here and give you some background. Let’s start with the map. Darron and I are sitting at the red ‘x,’ at the end of COA’s dock. 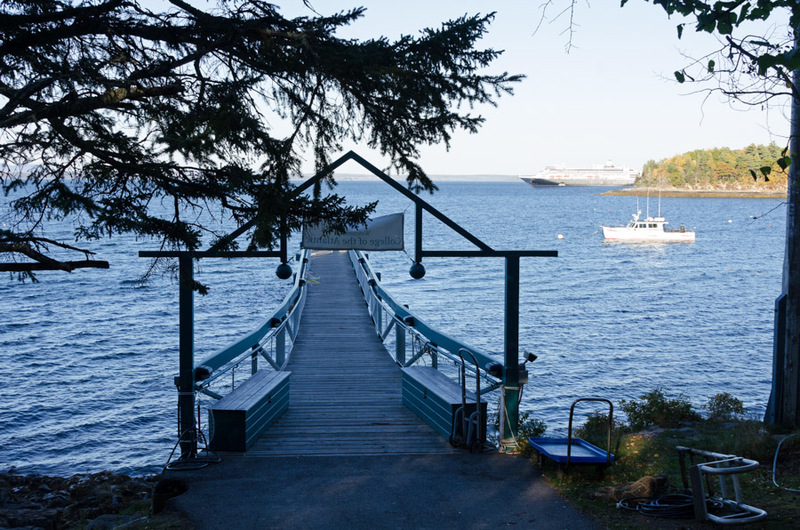 The town of Bar Harbor is trying to decide whether to buy the old ferry terminal (at left) back from the Canadian government and if they buy it, what to do with it. The consultants hired by the town recommended rebuilding the dock and berthing cruise ships there. Right now, cruise ships anchor in the bay and send their passengers in via tenders (small boats.) A typical ship among the current visitors would be the Maasdam, which I think has 10 passenger decks, so is about the height of a 10-story building, and is 722′ long, which is roughly 2 football fields, or 1.25 city blocks. Some ships are smaller. I think the largest one coming in 2018 is Adventure of the Seas, which is 15 decks tall by by maybe 3 football fields long. There are much larger cruise ships. Note that the tallest building in town is 5 stories, and most of the village is 2 to 3 stories. The proposal to park 2 ships potentially the size of 18-story buildings at the old pier raised what can only be described as a sh-tstorm of massive proportions among the town voters, with opinions ranging from ‘take all the cruise ships and make tons of money,’ to ‘some cruise ships are ok but not at the dock,’ to ‘ban all cruise ships.’ The issue was mixed in with broader questions about traffic and crowding on the island. Eventually, the town formed 4 committees to look at 4 different ways of using the ferry property, and at the time of this interview, the committees were still gathering info and drafting plans, and the citizenry were arguing bitterly on Facebook, at the hardware store, in cafes, and in line at the grocery store. The committees filed their report in November 2017. It is available online here: https://www.barharbormaine.gov/DocumentCenter/View/2499. Most people seem to approve of the report’s recommendations, but the issue is ongoing. 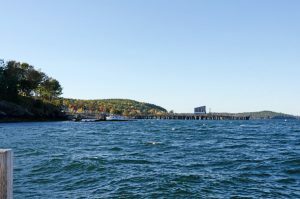 Looking toward the old ferry terminal pier. I’m going to guess the top of that building sticking up on the pier might be 4 or 5 stories above sea level. Jenn: Well, it’s what I think of when I think of COA. Darron: Right? Yeah, that’s really different. Most colleges, even if they’re on the coast, they have a kind of terrestrial front door, and I think our front door is an oceanic or marine front door. It’s very unique, and … it defines who we are as an institution. That’s why it’s important. Jenn: What do you want to see happen over there? 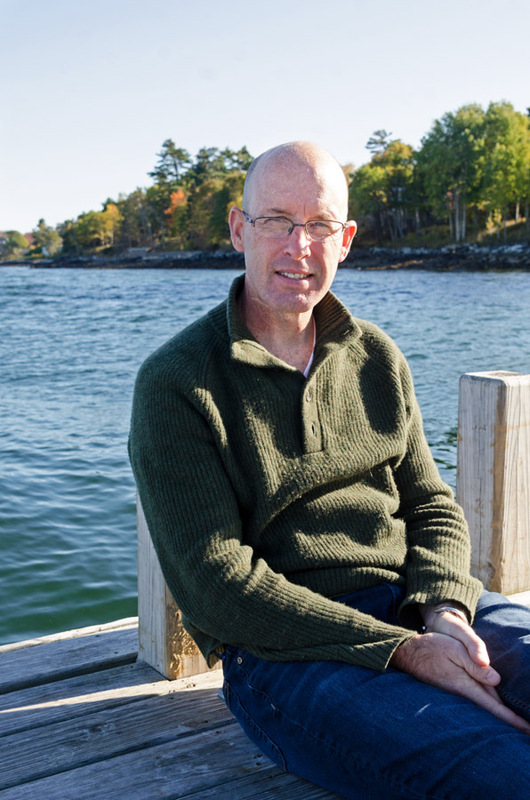 Darron: I would really like that to be a public marina and a [place] where the public of Bar Harbor can have the same kind of exposure to the marine environment as our students have from the campus. I think as a center for local ferries, … even a Portland ferry. I would love to have better connection to Portland. I don’t know if that’s at all economically feasible. 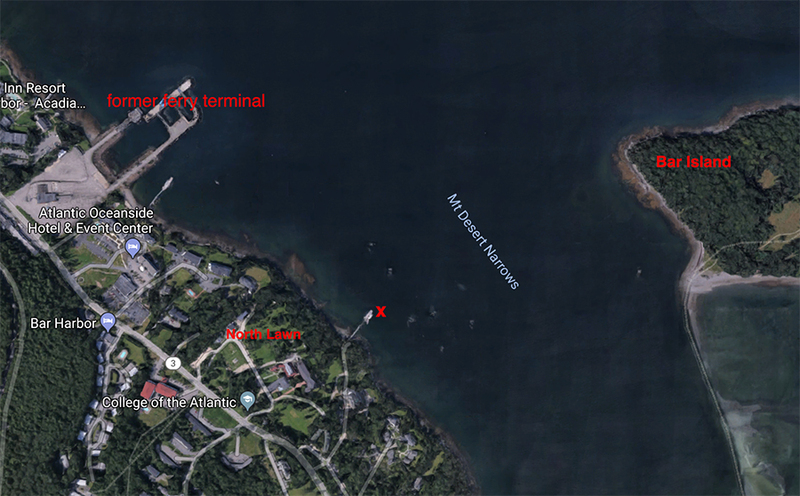 … For low-impact tourism around boating and kayaking, for local people to have access to Frenchman Bay for moorings. Jenn: I’ve heard some people talk about having kayak storage there where you could rent basically a locker. Darron: Yep. I would love to see a dock, but it’ll have to have a revenue-generating mechanism. All those things have a small one, but I would love to have a whale and island museum there. Jenn: That would be cool. Darron: That’s been part of the College of the Atlantic – we used to have the Whale Museum on West Street, and I would love to have that again here. That would be important to the college, but we would be putting money into that, renting space in one way or the other. I could see it having a working waterfront component. 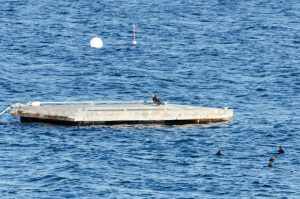 I know there are fishermen who aren’t going to move from [the Town Pier] but there might be other lobstermen who would want to use a pier that’s not in downtown so they could move their product. I would love to see Parsons have a fish [shop] … The college is going to start exploring possibilities for aquaculture, so have some kind of center for aquaculture there. I think over the next 20 and 30 years, people who depend on the lobster industry are going to begin to diversify their economic portfolio. Jenn: I’ll tell you flat out, I think the town should just buy the damn property outright and take like five years of citizen workshops, figure it out, get everyone on board. Do it properly. I’m so tired [of it] – you can’t go on Facebook anymore without people like, bicker, bicker, bicker. Jenn: I don’t think that was, at least in what I’ve read – I thought the cruise ship passenger cap stayed the same? Darron: The passenger cap would stay the same, but I’m on the committee, one of the four committees in town. Jenn: Oh you are? Awesome! Which one are you on? Darron: I’m on the berthing committee, which is antithetical to what I believe should happen, but I’m participating in the process anyway. We’ve been instructed to imagine a situation where we’re going to need to take on a debt of 40 million dollars or so to build out the pier that would allow cruise ships of 2, 3, 4000 passengers to dock there, and it wouldn’t necessarily mean increasing the daily passenger cap, but it would definitely require increasing both the fee and the annual number of passengers, which would be expanding the season, because in order to pay for a 40 million dollar procedure, a 40 thousand dollar plan, we would need to increase the total number of people that we ran through the town via cruise ships. That’s worrisome. Jenn: Yeah. That’s the first I’ve heard of increasing the numbers. I haven’t really made up my mind. I’m still listening to what everybody has to say. I’m definitely not anti-cruise ship. I think it’s like a bus, it’s a way to get people around in a more efficient way than everybody coming in their own cars, but there’s a limit to how much the town can handle. Darron: I think so. I actually think that cruise ship tourism is problematic for what we’re trying to do here. I’ve been on a cruise ship before. I worry about creating the Disneyland version of Bar Harbor instead of an authentic Bar Harbor, and I think cruise ships do tend to encourage that kind of tourism. Very short term, get off the boat. 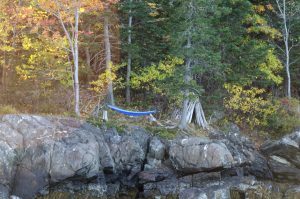 I think the fundamental property of what makes Mount Desert Island spectacular requires people to spend more time here. That said, I still think there’s room. I’m not approaching it as a snooty, “I’m above cruise ship tourists somehow,” but I think we need to be really careful about it. This status quo, I could live [with.] I’m also wearing the hat of the president of the college, so I’m really worried about the proximity. In one sense I am a landowner that has very serious concerns about how two cruise ships there would negatively affect my business in the same way that if I owned the Atlantic Oceanside, I might worry … Maybe it wouldn’t change at all, but I think there’s the risk. Jenn: A 10-story building there would definitely change things. Jenn: … You know, I don’t mind the cruise ships out in the bay like that. I certainly don’t want more. Jenn: But still, what’s the alternative, to just do land-based [tourism]? Or to say that you can only come for a certain length of time? Jenn: I don’t think so. Darron: I really don’t believe that. I really think that this experience in terms of the northeastern Atlantic has no rival. We should be in control, and we should set the boundaries. Jenn: I do think we can set our terms a little more than some people seem to think. Darron: Yeah. Actually I think that meme is kind of evolving. I think that is understood more. … So I feel good about that. Actually I think in 2012 when we had … the consultants, I think the way we engaged with them early on set us off on a very negative trajectory. They published a graph that showed five different lines, and one of them was labeled as ‘target.’ The target line of annual cruise ship visitors went like that [hand gesture showing the graph skyrocketing], and they said, “We’re recommending a large berthing pier to be able to cater to increasingly large cruise ships. 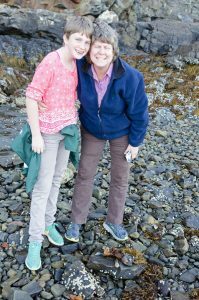 In order to pay for that, this is the kind of trajectory that the town of Bar Harbor is going to require.” That really stuck in a lot of people’s craw. As it should have. I think that set a tone, and whether it’s true, or the truth has evolved or not, it really set the tone and scared a lot of people. Jenn: Oh cool, I hadn’t seen that! Darron: Yeah, there’s a fort there. … On this ridge is the north lawn, and the college is in the initial stages of designing a new building. Actually not even designing because we don’t have the architect yet. Darron: We’re doing the building program for the new building. It’s going to be the new academic core for the college. One of the preferred locations is on that ridge. We’re thinking about the view of the college from the water, and from the college to the water, but we definitely want the ocean to feature prominently in the construction of the new building. That’s kind of exciting. That will change the way that landscape looks. Darron: Another interesting conundrum we have is people always say …, “Why don’t you cut the trees? … Why don’t you increase the visibility of the ocean from the campus?” Trustees say this a lot. What I think we’re involved in [now is deciding] what the right balance looks like. We would like to prune some of the vegetation along our coast to increase the visibility, but doing so is really expensive and highly regulated, as you might know. Darron: We’ve started to do that kind of mapping and planning along our ocean front. Jenn: But you can take them out and plant natives. Darron: Yeah. But that’s expensive. Darron: The whole process of working with the silviculture expert, it’s expensive, but it’s important. We’re always balancing things, we don’t have unlimited finances, so putting money in that is theoretically taking away scholarship money. But are you improving the experience? We’re always doing cost-benefit analysis for different projects. The visual access to the ocean is one of the most amazing things for being a student at COA. … My first year I was in Ryles, which is Deering Common. Jenn: Yeah. But you’ve got [that] classic relationship where the trees are thinned enough that you catch glimpses of the water, but you don’t have any open panorama views. Jenn: It’s what I like. Darron: When David Rockefeller, when we had his memorial service here, David McDonald, the head of Friends of Acadia had a beautiful, beautiful vignette of taking people by boat around Ringing Point, and he would say, “That’s Ringing Point, that’s where David Rockefeller senior lives.” And people would say, “Where?” The fact that you can’t really see the house, that’s the perfect balance. You get the measured vistas of the water, but it doesn’t become glaring. Cormorant on one of the floats nearby. 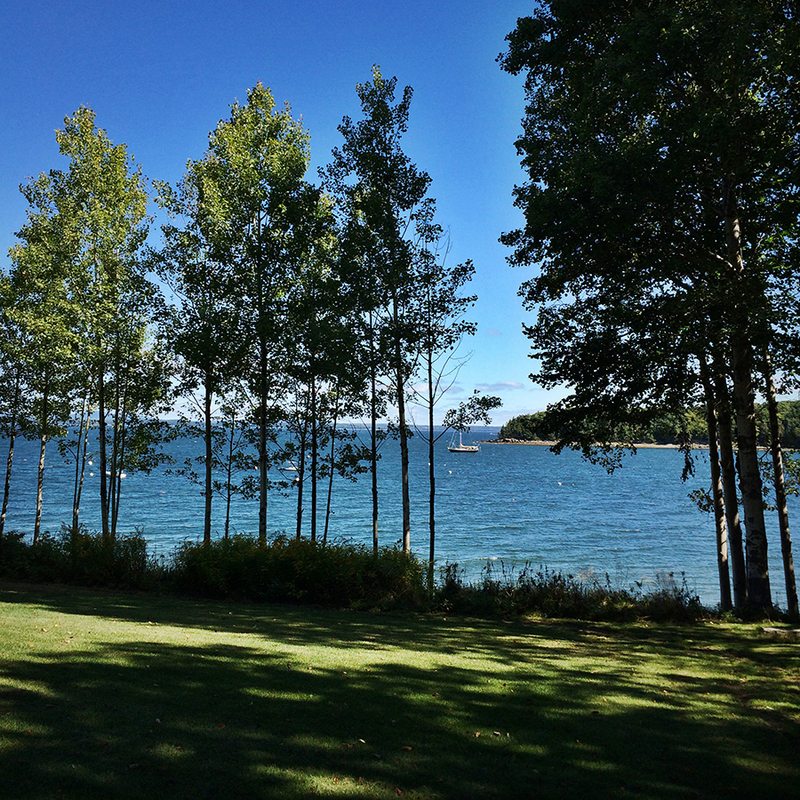 Darron: The other thing that I love [is] Bar Island. … When the first cohort of students came to COA in the fall of 1972, there were 36 of them, but people don’t know that in the summer of 1971, we actually tested a pilot program. We didn’t have anything, we didn’t have faculty, we … had the old building that burned down, but we didn’t have staff beyond Ed Kaelber and Anne Peach and Millard Dorrity – but in that summer we did this pilot, a human ecology summer pilot program, the question was something along the lines of “What might the future of Bar Island look like?” They would have daily excursions over to the island. Every time I walk across the Bar, and I go a lot, I still feel like I’m either one of those students for the first time walking over there, or like the first human being to come to the island. Even though in the summer it’s packed with people walking over there, there’s something magical about the fact that that island becomes accessible and inaccessible, accessible and inaccessible twice a day. Jenn: And you can walk on the bottom of the sea to get there. Darron: Yeah, so I really love that this [gesturing to the dock and the campus] becomes a platform for looking at that island. … Was that useful? Jenn: Yes. I knew you’d have good stories! We were heading back up the path toward Darron’s office when I spotted someone on the COA beach – you remember Kelley Sanborn, right? From Coast Walk 9? That’s her daughter, Tessa. Kelley: Hi! … Do you have a minute to see something? Jenn: Sure. Let me just say goodbye to Darron. I’ll be down. Jenn: Thank you so much. Yeah. I’ll see you tonight. 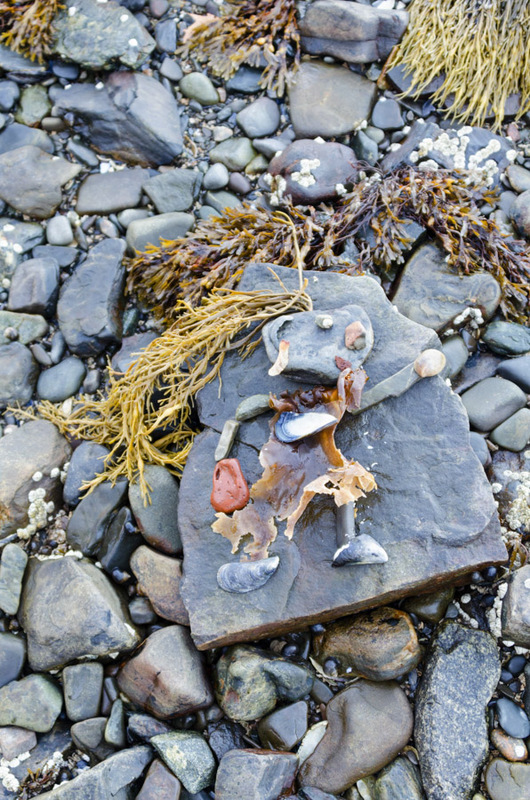 This is what Kelley and Tessa wanted to show me – they’d been making rock people! Love the seaweed hair, Tessa. 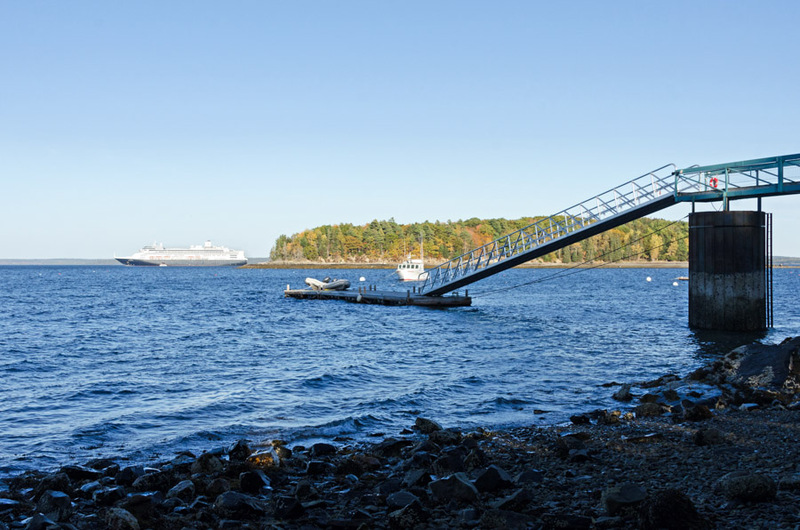 Bar Harbor Ferry Terminal Property Advisory Committee, Report to the Bar Harbor Town Council, Nov.14, 2017. Available as a pdf online.